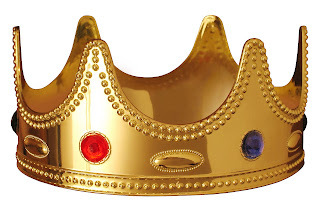 For years the argument has raged between generations as to who is the true king, Elvis Presley or Michael Jackson. 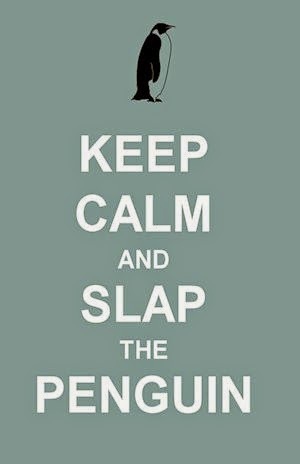 Slap the Penguin finally closes that discussion like a slamming door. We will look at each singer's track record, compare and contrast their styles and rate their achievements in their own genre against their peers. We have taken subjectivity and guesswork out of the equation and put these two legends head to head in a one of it's kind Deadliest Warrior Deathmatch. Elvis brought rock and roll to the masses with a combination of smooth looks and hypnotic hip shaking. He is a tough competitor, who boasts US army training. Elvis also studied martial arts in later life and finished off a glorious career eating cheeseburgers in Las Vegas. The youngest member of the Jackson 5, Michael grew up knowing nothing outside of the music industry. He enjoyed his childhood during later life by building Neverland Ranch and hanging out with young children including the actor Macauley Culkin. Both singers have some impressive music stats each of them boasting 18 US #1 singles. The Elvis LOADED GUITAR packs a six string wallop that beats out MJ's SPIDERMAN POSE. 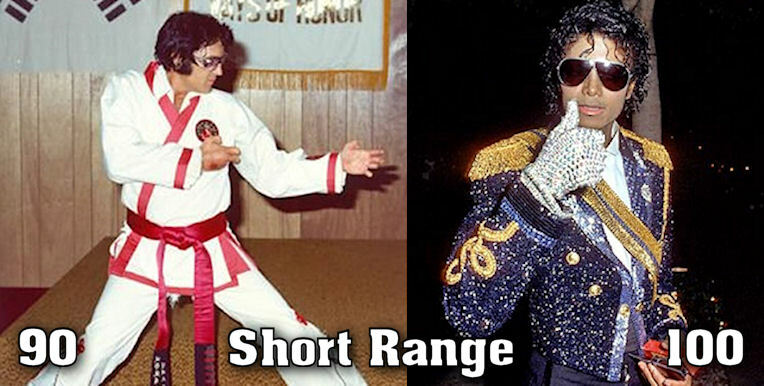 Both are equally fatal at long range, but Elvis looks way cooler than Michael performing the move. Michael's POWER GLOVE gets the upper hand over Elvis's KARATE MELEE, since it also offers defensive capabilities giving him the advantage at close range. 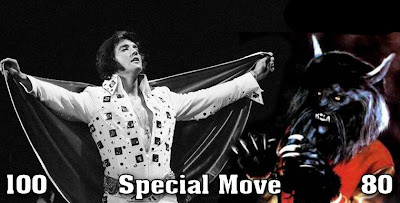 Elvis rocks the KNEE DROP with STOOGE FINGERS ready to take out Jacko's eyes. 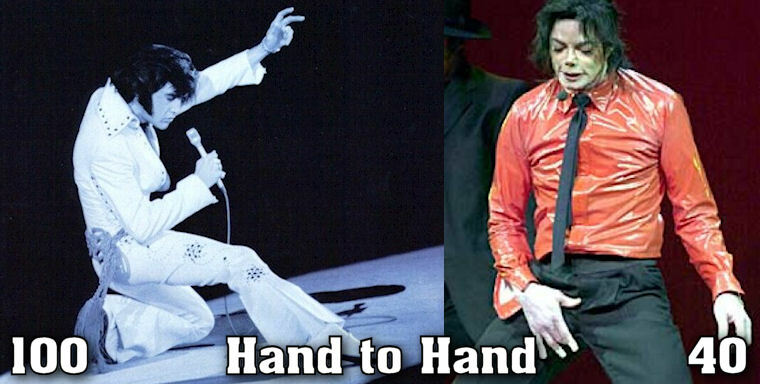 While Michael counters with the CROTCH GRAB. Unfortunately he grabs his own crotch and fails to impart any serious damage on the enemy. The special move section is where things can be won or lost. Michael's THRILLER BEAST is formidable but it is no match for Elvis's WINGS OF GLORY﻿ (accompanied by a rousing chorus of Glory, Glory Hallelujah and some profuse sweating). The ultimate climax to any battle. We looked at the stats and simulated the battles over and over and Elvis won. Michael didn't stand a chance really, but it was fun proving it scientifically. Nobody can argue with a graph, but if you feel the need to disagree then let us know your thoughts in the comments section below. 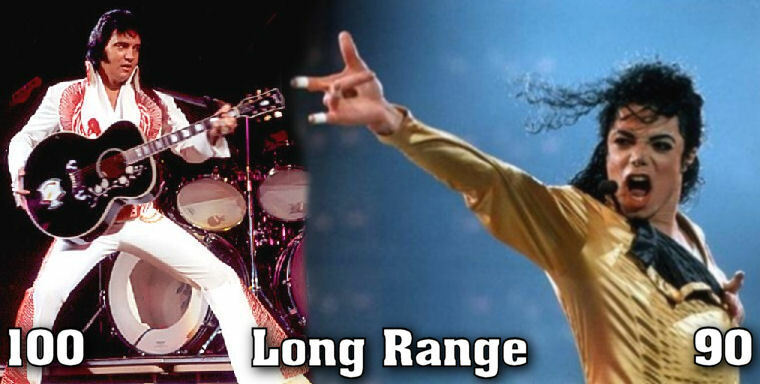 Who is the true King of Rock and Roll? Thought this was common knowledge? MJ was king . . .of pop and self proclaimed at that ! Elvis did something that was never done before, and did so while never playing a concert outside of the United States, 'nuff said ! Michael Jackson turned into a werewolf and was a dancing zombie. 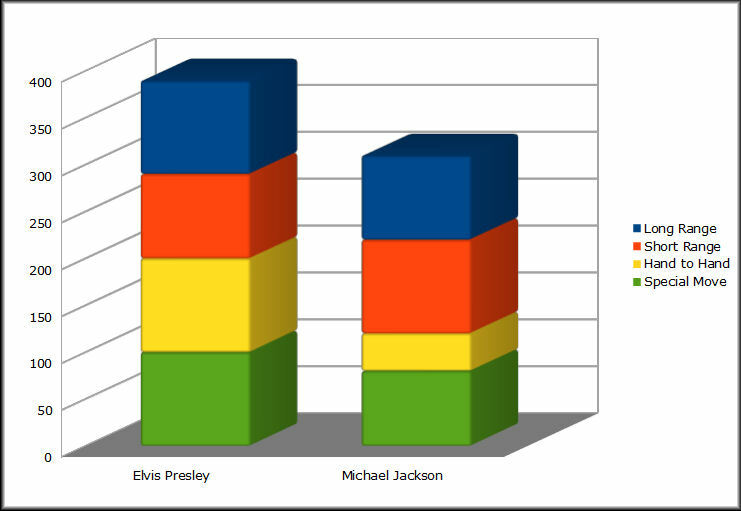 Thanks for your thoughts anonymous, but the simulation clearly shows that Elvis' Wings of Glory move, defeats MJ's Thriller beast move by 100-90. You cannot argue with statistics.